Every once and a while, Greater Good Realty likes to highlight what’s right with our city. 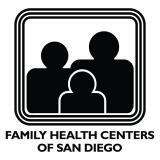 This month, we’d like to shine the spotlight on Family Health Centers of San Diego. Their commitment to providing local residents with quality and affordable health care is truly admirable. Without the work they do, San Diego wouldn’t be the great city that it is today. There are currently over 600,000 people living in San Diego who do not have access to healthcare, 150,000 of whom are children. Thankfully, Family Health Centers of San Diego is there to help. The organization operates 33 locations throughout the county, including 13 primary care clinics, 3 dental clinics, and an HIV clinic. The group also has 3 mobile units, which provide services to approximately 70 sites. In 2011, Family Health Centers of San Diego cared for over 165,000 individuals and had over 625,000 patient encounters. Ever since 1986, Family Health Centers of San Diego has hosted the Spirit of the Barrio luncheon to increase awareness about their organization and mission. The annual event raises the funding necessary to allow Family Health Centers of San Diego to continue providing healthcare services to the San Diego community. The luncheon is designed to bring together local businesses, individuals, and community leaders for an afternoon of networking and fundraising. Oh, and there are tamales. Spirit of the Barrio events are scheduled throughout the year, with the next being held from 4:00 p.m. to 6:00 p.m. on Friday, July 19. All events are held at Logan Heights Family Health Center, which is the location of Family Health Centers of San Diego’s very first clinic. Past events have included a number of notable speakers, such Jerry Sanders, the Mayor of San Diego, and Grammy nominated singer-songwriter Jason Mraz. This year, Greater Good Realty is proud to lend its support to this wonderful cause by sponsoring the entertainment – a mariachi band. Tickets to the Spirit of the Barrio event are available now, and cost $25 per person or $200 for a 10-person table. To register, visit www.fhcsd.org or call (619) 515-2562. To learn more about what Greater Good Realty is doing for the community, visit our blog.